The San Pedro Town District Education Office of the Ministry of Education received donations from two vacationing couples on Ambergris Caye. Two sets of educational materials were delivered on Monday July 22nd, and will be used as part of the teachers’ training being planned for the summer. Terri and Danny McGuire and Jenie and Karen Morgan are frequent visitors to the island, and on this trip, they decided to bring school materials that could assist in the teaching of the island’s children. 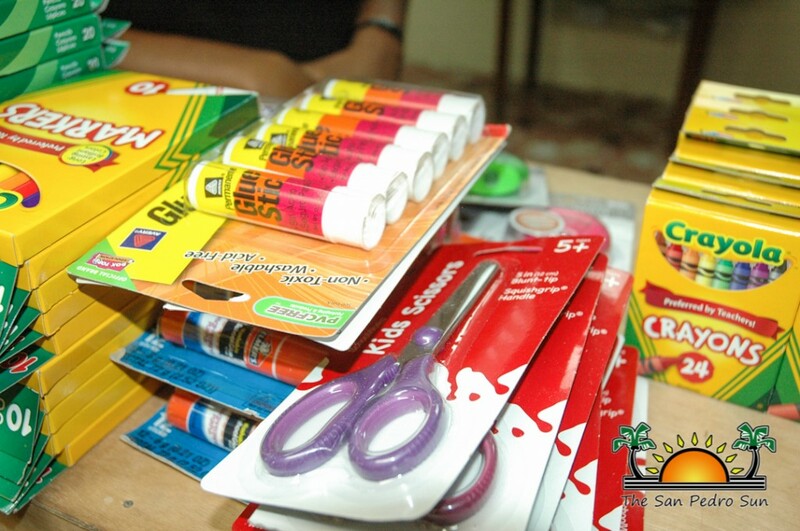 According to Terri, a special education teacher from Texas USA, the donation is a form of giving back to the San Pedro community, a place that she plans to retire to in the near future.She said that she also encouraged her vacation companion to do likewise by bringing along the much needed educational materials. The items donated includes 21 referral materials (books), several math manipulators, plastic clocks and flash cards, Cuisenaire fraction strips, pop cubes, sharpeners rulers, kid scissors, glue sticks, pencils, crayons and markers, construction papers and writing pads. In total, two large suitcases of teaching materials were handed to the District Education Officer, Miriam Codd Pott. Pott thanked the McGuires and Morgans for their generous donation, stating that the goods will be put to good use. 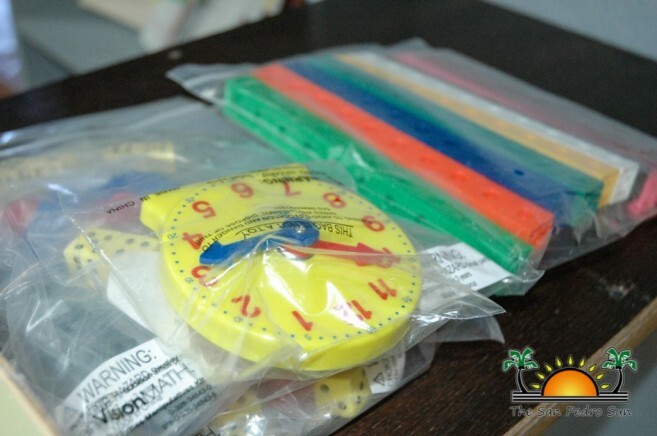 She said that the materials are very timely, since they will be used at a teachers’ training workshop scheduled for late July through early August.